Bertolt Brecht was a German, poet, playwright and theater director. He was also a Marxist. His best known work is The Threepenny Opera. Though his plays have humor, tragedy and music, he did not want to make theater that was just escapist entertainment for those who could afford expensive tickets. Instead his plays invite us think about the events on stage in relation to what is happening in our lives. But rather than telling us how to live, they raise questions. They invite us to think for ourselves and inspire us to change the world. Brecht used the phrase “Epic Theater” to describe the work he was doing. By that he did not mean he was in the business of making extravagant spectacles but rather he aimed to make a play that documents its period, almost like a newspaper report but one that helps us to understand history and its consequences today. He said, “I give the ungarnished events, so that the audience is left to think of itself…The production should bring out the material of the action quite soberly and objectively." 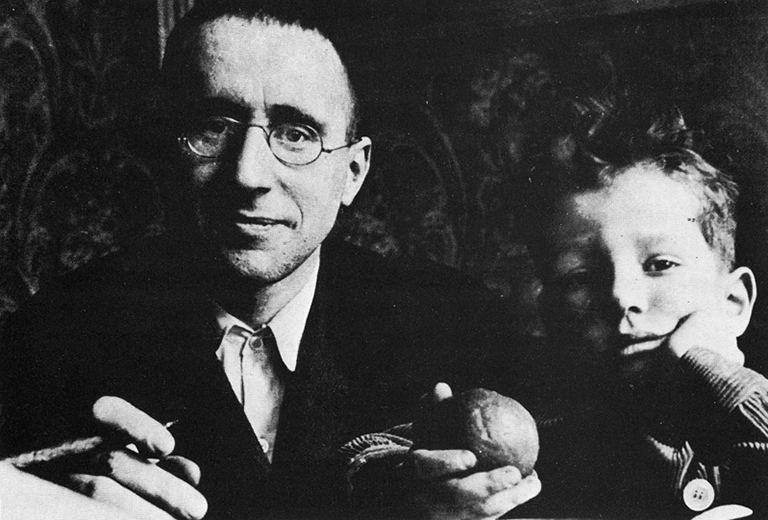 Brecht wrote The Days of the Communein 1948-1949. He had recently left the United States for East Germany after being called before The House Committee on Un-American Activities (HUAC) in 1947. However the East German goverment banned the play for being too defeatist. It was first produced by Brecht's theater company, The Berliner Ensemble in Chemnitz (Karl-Marx-Stadt) in 1956. 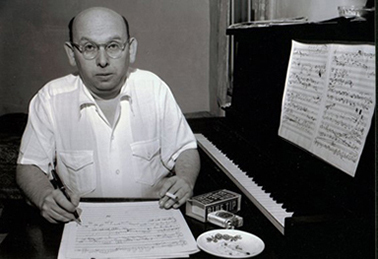 The music is by the great radical composer Hanns Eisler. The play presents a panorama of life in Commune.It is a world we can recognize and identify with. There are no larger than life heroes or sentimental heroines instead brings to life a small group of working class neighbors in the Rue Pigalle, Papa and Coco, Babette and Geneviève, Madame Cabet and her son Jean. Together they struggle to make ends meet and learn how to re-imagine life in a truly democratic society. In the end these are the people who will end up fighting and dying in the streets of Paris. Brecht also wants us to understand the political and most importantly the economic forces at work that shape our lived experience. He shows scenes of the political leaders of France and Germany and the Governor of the Bank of France, the forces of what we now call global Capitalism scheming to destroy the people of Paris. He does not tell us what to think, but instead encourages us to ask questions about how to change the world in the face of what might seem like impossible odds. Hanns Eisler was a German composer. He studied under Arnold Schoenberg and began his career composing in Schoenberg's twelve-tone technique. Moving to Berlin, Eilser became involved with both experimental art and Marxism. He wanted to make his work more accessible and looked to jazz and cabaret for inspiration. He started to work with Brecht on plays and protest songs. Their Solidarity Song became a popular militant anthem sung in protests and pubic meetings throughout Europe. They both went into exile to escape the Nazis and ended up in Hollywood where Eisler composed film scores. After the war, as a Communist witch-hunt got underway, they moved to East Germany where Eisler continued to collaborate with Brecht until the latter's death in 1956. Adolphe Thiers (1797–1877) - A politician and historian.When the French government was forced to surrender, 1871 Thiers was elected head of a provisional government. On 18 March, a major revolt began in Paris after he ordered the army to remove several hundred cannons in the possession of the Paris National Guard. Thiers evacuated his government and troops to Versailles. On March 26 Parisians elected The Paris Commune. Thiers has often been accused of ordering the 'la Semaine Sanglante' (Bloody Week) – but it is possible he simply washed his hands of the massacre of the Communards that was carried out by the army under his watch. He prosecuted the thousands of prisoners. Over 12,000 were tried by special courts martial; of these 23 were executed, and over 4,000 transported to New Caledonia, from where the last prisoners were amnestied in 1880. Jules Favre (1809 – 1880) - A French statesman. 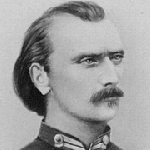 After the establishment of the Third Republic in September 1870, Favre became one of the leaders of the opportunist Republicans faction. His job as minster of foreign affairs was to negotiate peace with victorious Germany. He showed no diplomatic skill in the negotiations , and it was Bismarck who imposed all the conditions. He withdrew from the ministry, discredited, on 2 August 1871, but remained in the Chamber of Deputies. Eugène Varlin (1839 - 1871) - Bookbinder. Leader of the International. Member of the Commune, elected by three arrondissements, serving for the 6th. Member of several commissions. Served on the barricades during the Bloody Week and attempted to prevent the execution of the hostages on the rue Haxo. Captured on May 28 and summarily executed, shouting, “Vive la République! Vive la Commune! 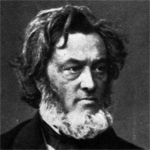 Charles Delesclusze (1809 – 1871) - A radical French journalist and passionate supporter of democracy. He was exiled and imprisoned several times for his writing. At the siege of Paris he fought with reckless courage, and was then elected in 1871 to the National Assembly, and became a member of the Commune. He was killed on the barricades, defending the Commune on May 25, 1871. Francis Jourde (1843 - 1893) - Accountant, Freemason. Member of the Commnune for the 5th arrondissement. Member of the finance commission. Author of the decree on the postponing of payments due, the National Pawn Shop and pensions for widows of fallen National Guardsmen. Attacked for being too respectful of the money held by the bank of France. Sentenced to deportation in New Caledonia, escaped with Grousset and Rochefort. Charles Beslay (1795 -??) - Engineer, Close friend and follower of Proudhon. 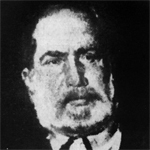 An industrialist, he made several attempts at forming associations among his workers. He was the first bourgeois to join the International Workingmen's Association (IWA) (1864–1876), sometimes called the First International. Elder of the Commune, elected by the 6th arrondissement.On the finance commission he ensured that the money held by the Bank of France wasn’t touched. “I went to the bank with the intention of protecting it from violence on the part of the extremist party of the Commune.” Acquitted of all charges against him after the fall of the Commune. In later years adopted a “liberal socialism”. Charles Amouroux (1847 - 1885) - Hatmaker. Freemason. Member of the International. Member of the Commune representing the 4th arrondissement. Member of the external relations commission. Captured during the Bloody Week, he received three sentences to deportation. In New Caledonia volunteered to serve in the French forced fighting the native rebels. Augustin Avrial (1840 - 1904) - Mechanic. Member of the International. Member of the Commune, representing the 11th arrondissement. Distinguished himself on the barricades during the Bloody Week. Sentenced to death in absentia. Patented a sewing machine of his invention in 1892. Socialist militant until his death. 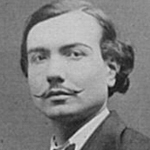 Raoul Rigault (1846 - 1871) - Student, journalist, procuator and member of the Commune for the 8th arrondissement. 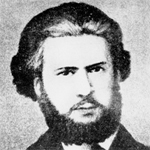 Rigault was involved in the question of whether to execute hostages taken by the Commune, he ordered the execution of at least nine men during the Bloody Week. Arrested May 24 he was executed immediately. He was a hardliner and member of the Committee of Public Safety that advocated violence to defend the existence of the Commune. One Communard said that Rigualt knew what the Versailles government would do and was right. If he thought it necesary, he would have executed his best friend. Gabriel Ranvier (1828 – 1879) - A painter of porcelain by trade, Ranvier was a follower of the radical left wing activist Louis-Auguste Blanqui who many believed inspired the Commune. Ranvier commanded a battalion of the National Guard during the siege of Paris, he was part of the insurrection that led to the Commune. He became a member of the Commune representing the 20th arrondissement and was one of the Committee of Public Safety. He fought in the Bloody Week and then fled to London but remained a committed socialist. 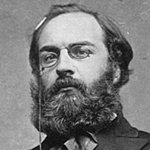 He was condemned to exile and then death in absentia but managed to return to Paris in 1879 where he died the same year. 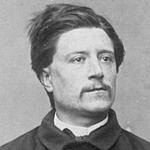 August Vermorel (1841 - 1871) - A radical socialist and a journalist, Vermorel was imprisoned several times for denouncing the government. On the overthrow of the Second Empire in 1870 he was released and took an active part in the Commune.It was said that he had a foreboding of defeat and from the beginning, despairing of the revolution, only thought to keep it on the path of justice and to die for it with dignity. This indeed came to pass. He was dangerously wounded while fighting at the barricades, taken prisoner and removed to Versailles, where he died. Jean-Baptiste Chardon (1839 – 1898) – A boilermaker for the railroad,. Chardon was dismissed from his job for “revolutionary ideas” and served time in prison for “inciting hatred towards the government. He joined the International and fought in the National Guard to overthrow the government of National Defense. He was elected delegate to the Commune for the 13th arrondisement. He was a member of Committee for War and for Security. After the Commune he fled to Switzerland and was sentenced to death in absentia. He worked for an engineering company and travelling to Egypt, Cuba and Haiti where he became a restaurateur. Later he returned to France. 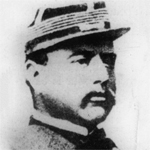 Henry Champy (1846 – 1902) A maker of cutlery, Champy served in the National Guard defending Paris against the Prussians. He was elected delegate to the Commune or the 10th arrondisement and was on the Committee for supplies. 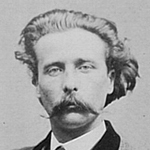 After the end of the Commune he was sentenced to exile in New Caledonia. After the amnesty of 1880 he returned to France and took up his old profession and subsequently became a jeweler. He also became president of “Solidarité des proscrits de 1871” which became the “Les Amis de la Commune de Paris 1871” (Friends of the Commune of 1871) an organization that still exists today. He also joined the Revolutionary Socialist Workers party headed by Jean Allemane. 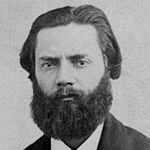 Louis Augustin Rogeard (1820 - 1896) - Educated at the l'École normale supérieure de Paris, Rogeard was refused his degree because he would not swear allegiance to Napoleon III. He taught privately and started a journal La Rive Gauche that satirized the Second Empire. Forced into exile, he returned to France when the Republic was declared in 1870. He was elected to the Council of the Commune by the 6th arrondissement. But he resigned, judging the number of voters too low. After Bloody Week, he managed to flee the country. The French Council of War condemned to death in absentia. He did not return to France after the amnesty of 1880 but continued to eke out a meager living as a teacher abroad. 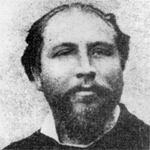 Antoine Arnaud (1831 - 1885) - Railroad employee and member of the International Workingmen's Association (IWA) sometimes called the First International which aimed at uniting a variety of different left-wing socialist, communist and anarchist political groups and trade union organizations. He was also follower of radical political thinker Auguste Blanqui. 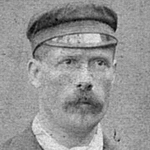 Arnaud was member of the Central Committee of the National Guard and was subsequently elected delegate to the Commune for the 3rd arrondissement, he was a member of the Committee on Foreign Relations and the Committee of Public Works, and later, the Committee of Public Safety. He fought on the barricades. 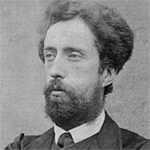 After the defeat of the Commune, Arnaud emigrated to Belgium, then Great Britain. He returned to France after the amnesty of 1880. 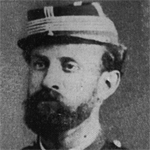 Paul Rastoul (1835 – 1875) -A doctor by profession, Rastoul fought in the National Guard during the siege of Paris and organized treatment for the wounded. He was elected Delegate to the Commune by the 10th arrondissement. He was in charge of public services and inspector general of hospitals. He voted against the creation of the Committee for Public Safely. After the Bloody Week, he was sent into exile in New Caledonia, a bleak island off the coast of Australia. Alfred Billioray (1841-1877) - Billioray was an artist. As delete to the Commune, he served on the Committee of Public Safety. He died in deportation in New Caledonia. Clovis Joseph Dupont (1830 – 1902) - A weaver. He was on the Central Committee of the National Guard and was elected delegate to the Commune for the 3rd arrondissement. He was on the Committee for Labor. After the destruction of the Commune he was sentenced to twenty years forced labor in New Caledonia and then return to France after the amnesty of 1880. 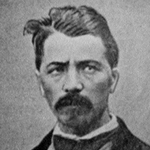 Albert Theisz (1839 – 1881) – A bronze worker and member of the International, Theisz organized a bronze worker’s strike in Paris in 1867 and was imprisoned for his trade union organizing. Freed in 1870, he was elected as a revolutionary socialist to the national assembly. 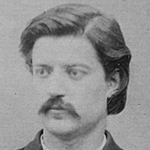 As a delegate to the Commune, Theisz served on the Committee for Labor, Industry and Exchange and as Postmaster. He fought on the barricades during the Bloody Week, then fled to London, where he resumed his profession and his activities on the General Council of the International. He returned to Paris after the amnesty of 1880. 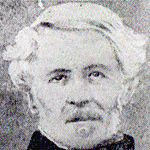 Jacques Louis Durand (1817 – 1871) - Durand was a shoemaker and trade union activist. A member of the Central committee of the National Guard, he was elected delegate to the Commune for the 2nd arrondissement. He served on the Justice Committee and voted for the Committee for Public Safety. He was killed by the French army during the Bloody Week. 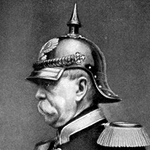 Otto von Bismark (1815 – 1898) - Bismarck was a conservative German statesman who dominated European affairs in the second half of the 19th century. He had an extremely aggressive and domineering personality. 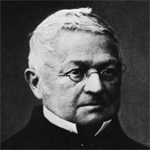 He unified numerous German states into a powerful German Empire under Prussian leadership. He distrusted democracy and ruled through a strong, well-trained bureaucracy with power in the hands the landed aristocracy. When Napoleon III initiated the Franco Prussian war in 1870, Germany with its much more mechanized military won victory after victory and its army was soon at the gates of Paris. Ultimately Bismarck did not want to make an enemy of France. He shared Adophe Thiers hatred of Socialism. 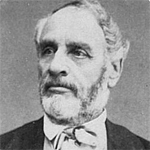 In 1878, he instituted the Anti-Socialist Laws. Socialist organizations and meetings were forbidden, as was the circulation of socialist literature. But despite these efforts, the movement steadily gained supporters. The well known Social Democrats Wilhelm Liebknecht and August Bebel held seats in the Reichstag. However it should be noted that he pioneered the modern welfare state introducing old age pensions, accident insurance, medical care and unemployment insurance in part to undercut the influence of the Socialists.